This is one that seems to have popped up out of nowhere… Fox US have just given a straight-to-series order (i.e. 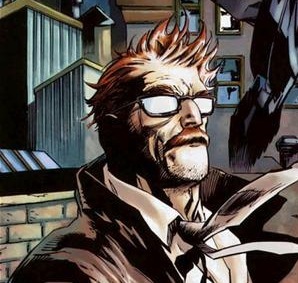 no pilot) to a show based around Batman’s top cop, Jim Gordon! Gotham is set during Gordon’s earlier career when he’s still a detective. It’s no great surprise that Batman won’t feature, although it does say ‘has yet to meet Batman’ in the press reports, so it looks like he is operating in the background, even if he’s not on screen. The early period of Jim Gordon’s career does give them a lot of stuff to play with. In the comics, Gordon arrives from Chicago to find a very corrupt police dept and police commissioner. He has run ins with fellow detectives, and starts an affair as his marriage is falling apart. Plus, some great crime family villains (although i suspect they’ll be drawing on the more outlandish Batman villains too!). Things may be somewhat in flux with the movies at the moment, but could it be that DC Comics and WB are finally managing to have some consistency, at least in their TV work? I really hope they’re starting to take notes from Marvels playbook, and are actually crafting a stable universe for these characters to jointly inhabit. With Arrow doing well, and if the talk of a possible Flash spin-off happens, Gotham would mean DC have 3 shows set in the same universe running concurrently. The show is being written by Bruno Heller, the man behind The Mentalist and HBO’s brilliant Rome, and should launch in 2014.